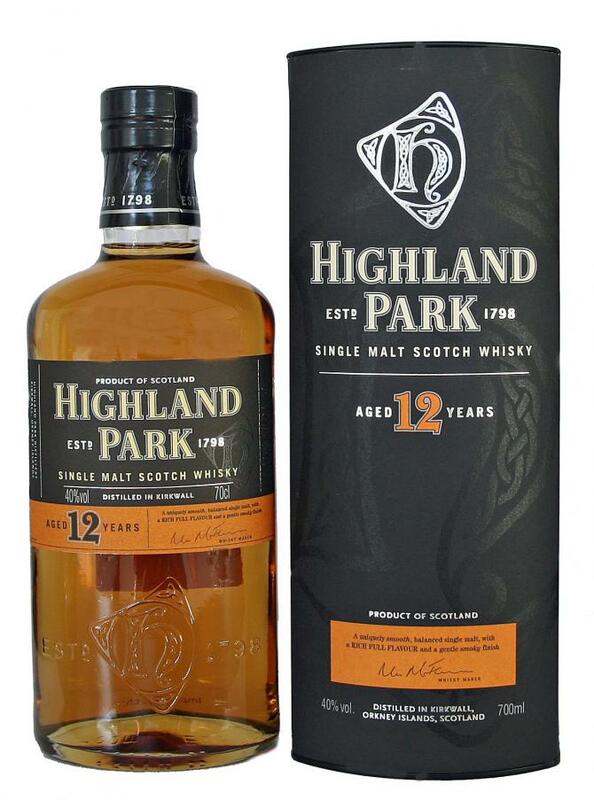 Considered as great all-rounder, Highland Park 12 combines distinctive features of Speyside, Highland and Islay whiskies. The nose has a complex range and is well-balanced. 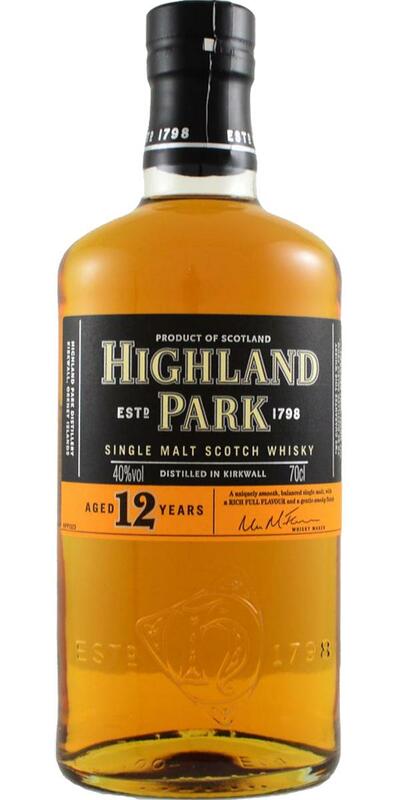 Sweet caramel and honey notes are complemented by delicate bonfire smoke and hints of sherry cask maturation. 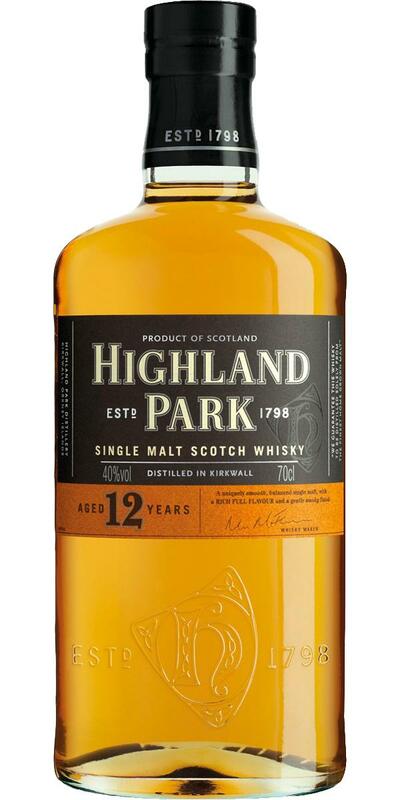 Tastewise, it starts sweet with full-bodied maltiness before turning dry, spicy and mildly peaty in the prolonged finish - a unique feature of Highland Park. 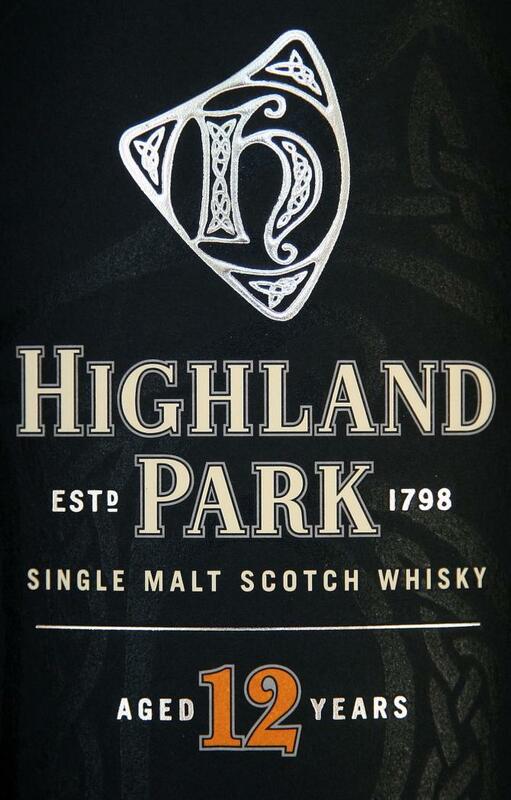 Altogether, a quality Single Malt which would benefit from no chill-filtration and a higher bottling strength. The aroma of honeycomb, crust of white bread, vanilla, very little smoke, black pepper and herbs. Bright juicy pineapple is on the palate, smoke is slightly enhanced, then gives way to malt, citrus, lemon, orange with vanilla. In the aftertaste in the language remains honey sweet flavored with smoke, caramel shades with a small bit of pepper. Very nice whisky. The first 5 minutes slightly fuzzy nose, but then passes completely. For a long time I tried to make out which citruses were on the palate, and then suddenly came the pineapple (not ripe, but sour, such as it is sold here), and now just pineapple is on the palate. It is interesting seasoned with smoke, that taste, that aftertaste. Pitko, fresh, tasty. 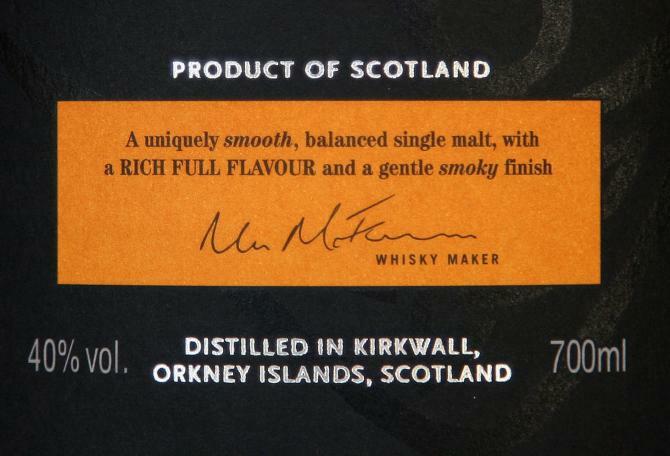 Tastes and is suitable as an everyday dram, without me particularly excited. Overall, rather light nose: minimal smoke, floral and tart herbs, yellow fruit from pear and peach, caramel, at times significantly alcohol for the 40%. Mild and sweet-sour, pear, caramel, sour citrus, hints of chocolate. The smoke is no longer felt. Pleasant and warm-spicy, but not particularly long, the sweet and fruity aromas soon disappear. He has never tasted as good as he has today. Much (and especially dark chocolate) aroma, longer finish than usual, the citrus fruits come out nice ... either I taste today more than usual from the HP12 - or he has evolved in the meanwhile half empty bottle but a lot ... like whatever - today: beautiful malt, I like it! Nose: some dry peat smoke, heather honey, sultana raisins, salted caramel. Taste: medium bodied, fruity sweetness, some subtle smoke, honey, malty, dried fruits, a mild tea note and some peppery wood spices. Finish is of medium length with some smoke, light spicyness and some oak wood. first fruit, then oak, which turns the taste into bitter. Then comes a small note of delicate smoke, which brings some nut with it. Then herbs again and a touch of heather.